The technology business past, present and future is pretty much a wild ride. Every day we strive to reinvent ourselves. 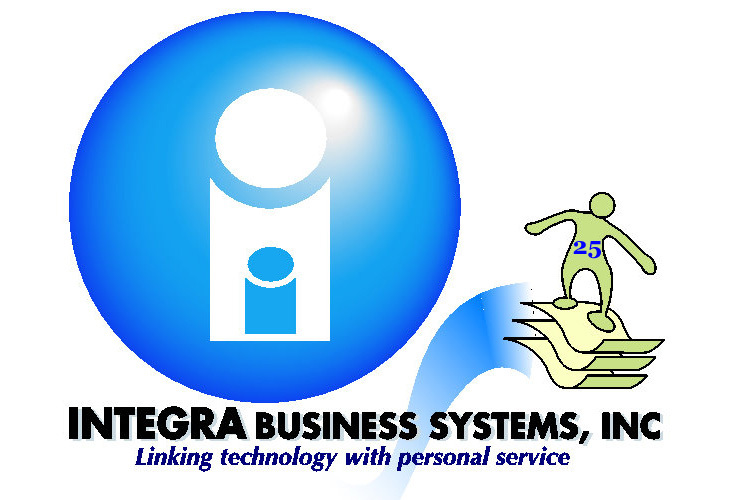 Founded in 1988, Integra Business Systems, Inc., d.b.a. Identifi, celebrates 28 years in business this month. To put things into perspective, in 1988 gas was .91 per gallon. We get it. Through all the changes and advances in technology, you are the secret sauce of Identifi’s success. History is such a great teacher, and it has taught us at Identifi, you are the reason we are still here. The secret sauce to being successful is you, our customers, partners, vendors and employees, alike. Through all the transitions in products and technology, you’ve needed great products and services. We’ve provided it. To be successful in the technology business, we have to continue to invest heavily in, what we like to call, “intellectual property, a.k.a., Identifi employees. Our mission is to connect people with technology. We must embrace the constant evolution in technology and in our lives, to make our employees, our partners and our customer’s lives simpler, more productive, and more fulfilling. We’ve always prided ourselves in providing great products and service. Now we need to take it to the next level, to connect you with the people you interact with every day. In an increasingly commoditized environment, the risks of your customers being bombarded with more competitive choices will increase. Creating loyalty through innovation (partnerships) will become more important. Identifi is and has been successful in forming partnerships which will be critical to enable connected anything and everything. Many businesses are saddled with legacy document imaging systems a.k.a., Enterprise Content Management (ECM) technology. Sooner or later companies with legacy ECM systems will have to bite the bullet. We are well positioned to convert and upgrade legacy ECM products to the latest web-based technology to address Mobile and Cloud technology. We know we have to make our technology simple. How do we do that? We have to keep pace with Mobile and the Cloud technology. We do that by using the latest browser based development technology, including HTML5, and AngularJS. We build products that employ Responsive Design, that makes our software easy to use on PCs, tablets and mobile devices. Identifi can help make your life a little easier. To do that we need to provide technology to connect you and your customers on any device, in all areas of your business, so you can be more productive, to make life simpler for you and your customers. Our vision is to build products that make your life simpler. We believe we can improve the way you do business and the way your customers connect. We do that by focusing on helping people work together and incorporate the latest technology to make that possible. We are busy inventing the future of collaboration software. Join us. We want to welcome you to Identifi 5.0. May the joy of the Holiday Season carry over into the New Year! Jim Bryant, Integra’s lead Implementation Coordinator will LEAD you out into the Florida Gulf to catch the finest of Spanish Mackerel, King Fish and Grouper on this off shore fishing expedition! This is not your typical aquarium! The Clearwater Aquarium is a marine life rescue center and home of Winter the dolphin, star and inspiration of the hit movie Dolphin Tale, which was filmed on location. Winter is not the only animal others include, sea turtles, otters, sharks & pelicans. Come be inspired and educated by their ongoing work of rescue, rehabilitation and release. Includes a boat ride. Meet Abby Ross our VP of Sales in the lobby. Come join Chris Oppenheimer, AVP of Customer Support out on the beach volleyball courts at the Sheraton Sand Key Resort for some fun! Combine, volleyball & tennis and you get the exciting sport of Beach Tennis. You don’t need to be a professional to play and you are always welcome to just come out and watch by the tiki bar. Welcome! Join the Integra staff, Partners and other Integra customers for dinner and drinks poolside at the Sheraton Sand Key Resort. Network with your peers and enjoy the live Caribbean music. Drink, Dance and enjoy the beautiful sunset on Clearwater Beach! Get ready to learn! Join the Vendors and Integra employees and your peers for breakfast. Start out your morning well while preparing for an exciting day of education. President and CEO of Integra, Alan Wiessner will open the day’s events with a recap of where Integra has been and where we are going. Get ready for a big reveal! Bob Hirschfeld a “Cybersatirist” takes a satirical look at business and technology and the world around us. Start the morning out laughing with Bob who was a contributing writer for Jay Leno from the Tonight Show. Integra celebrates twenty seven (27) years in business Saturday. March 7th, 2015. It truly seems like a long time ago. Then again, I wish I were 27 years old. At age 27, I was a District Manager for NCR Corp., based in Milwaukee, WI. My wife Terri and I had just moved into our first home. My hair was just tinged in gray. Today it’s almost as white as the snow in Boston! I weighed 175 lbs. Now I weigh, well let’s forget about the reminiscing! Today, Integra has a star studded cast of 41 professionals. Almost daily, I receive accolades from our customers about our all-stars support, their delivery and the quality of our products. With such an all-star cast, Integra is headed into 2015 strong, and with a full head of steam. Our paperless suite of Enterprise Content Management (ECM) products are cloud ready and second to none. In 2015 new, exciting and powerful products that will help shape your business, are on the way. I’m more energized and optimistic than ever about the future of Integra, our customers and our own all-stars! Not just a paper pushing toner eating machine anymore. Make MFPs work for you to move towards a paperless environment. 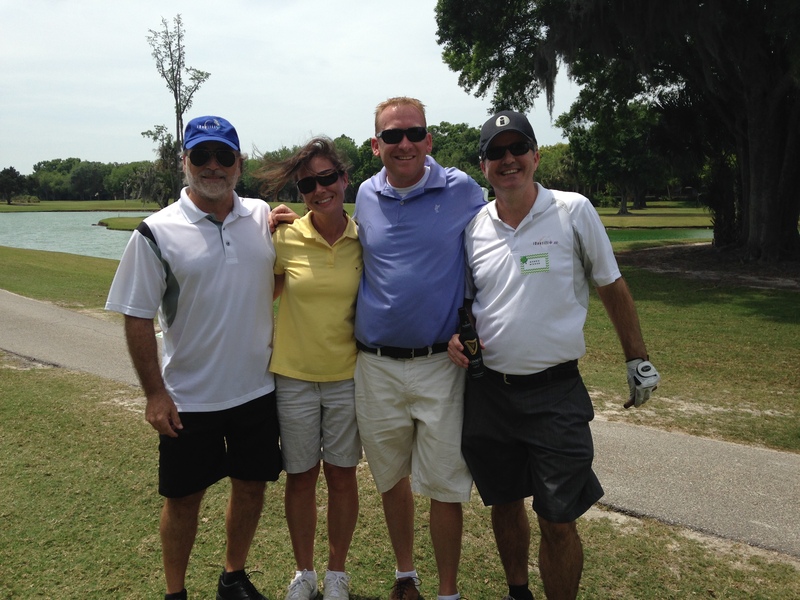 To benefit the GTE Financial Scholarship Foundation: Making Higher Education a Reality, One Putt at a Time. Last year’s inaugural Scholarship Scramble tournament allowed GTE’s Scholarship Foundation to award 24 scholarships to really deserving local students. This year our goal is to give 50 scholarships to local students who are dedicated to their education and community. Integra Business Systems, Inc. Professional Services Group (PSG) teamed up with the Support Group (SG) to challenge a team made up of the Development Group (DG) and last but not least, a team made up of the Implementation Group (IG) to participate in a canned/boxed good sculpture challenge. The challenge was created by Christie Russell, Manager of the Professional Services Group to help support an upcoming event by the Feed the Bay Charitable Foundation, of which she is actively involved. The Feed the Bay 2014 Event is coming on 3/23. This event is used to stock up on food for many homeless and food pantry organizations around the Tampa Bay area. The challenge to Integra employees to bring some canned goods and then each team prepared a sculpture with the canned goods received. The sculptures were built in the offices of the various teams and are pictured here. Sculptures needed to be completed by 1 PM on March 21st and were to be delivered to Feed the Bay on March 23rd. Open Technology Solutions (OTS) is the CUSO for Bethpage Federal Credit Union, Bellco and SECU, which have over $10.5 billion in combined assets. The three partner Credit Unions are supported by a centralized Operations Center called S3 – Shared Service Solutions, LLC. Each Credit Union has their own iDentifi Server running on their network. Scan stations are located at S3, to assist in making correspondence available in one business day. Multi-function printers are also used to scan general mail (including loan payments, collections, insurance, etc.) 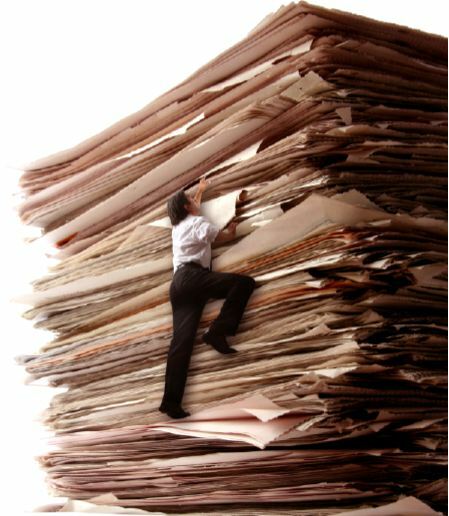 totaling over thousands of documents per week across all three Credit Unions. This has made the elimination of Mail/Courier service possible. Bethpage and Bellco are running the iDentifi.WEB repository with hundreds of users employing electronic signature, e-receipt, scan stations and E-Report. Bellco and SECU also run the iDentifi.Trak module to avoid audit exceptions. Tracking includes automatic e-mail notifications and reports when documents are pending or in exception. Exceptions are automatically cleared when documents are added into the iDentifi.WEB repository. If documents are recurring; ticklers are automatically reset at the point of recurrence. E-Receipt (for paperless receipts) works with signature pads, as well as with Ingencio and Pax units at the teller, which interface with the Verifast Solution from Fiserv/Open Solutions Inc. This one unit can be used for swiping and signature. The Credit Unions are using the dual logo feature of e-Receipt for shared branch transactions. All three credit unions are using e-sign for loan documents and new account signature cards. Documents are scanned with automatic indexing provided through barcodes that integrate with core by reading the core data file for indexing. Information can be accessed through Fiserv/Open Solutions DNA Core, or directly through the KWYK (Key What You Know) search engine which is part of the .NET iDentifi.WEB repository. E-Report is not just limited to the downloaded Fiserv/Open Solutions reports, but also includes auto indexing of Elan Reports, WITS (wire transfer reports from Pathfinder), FDR Reports, IS Reports, ERAS Reports, Fidelity Reports, Co-Op reports and abandoned property reports. Conversions can be supported from the legacy systems; Synergy, DocStar, Spoolview and Aace. 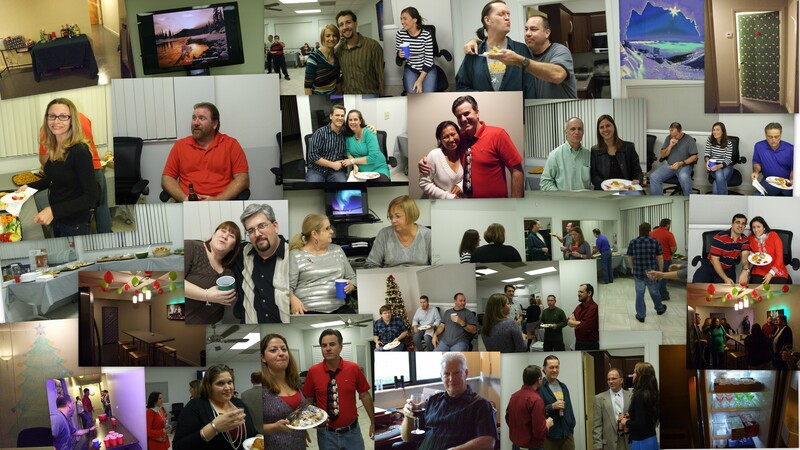 We wanted to share some scenes from our Christmas/Holiday festivities here at Integra. Warmest wishes for the season, and sincere thanks for your loyalty throughout the years! 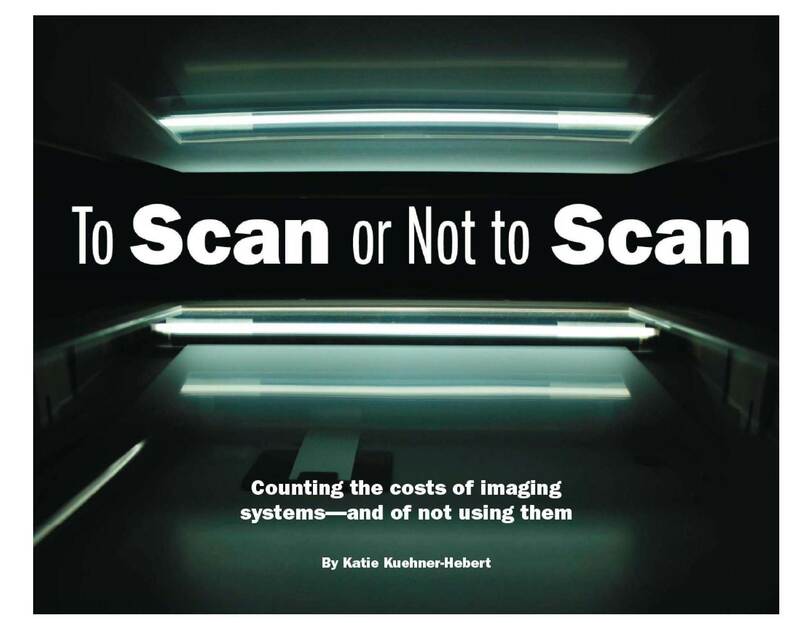 “To Scan or Not to Scan – Counting the costs of imaging systems – and of not using them” is an article written by Katie Kuehener-Hebert published in ICBA Magazine’s February issue. As a contributor to the article, Wiessner made the following observations…, “To get a more accurate ROI, community banks should calculate both the hard and soft costs of their current operations and compare those with the costs and savings after investing in an imaging system, vendors advise. 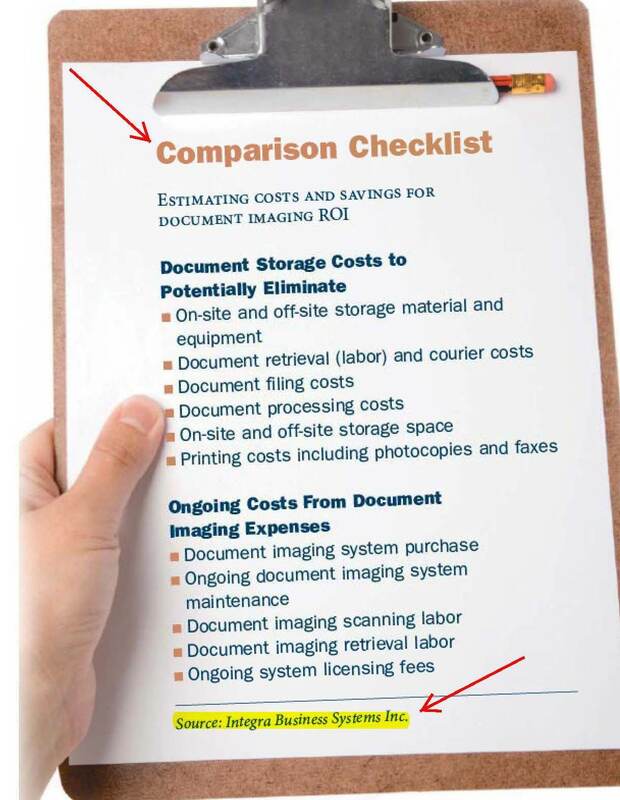 “The greatest ROI in deploying an ECM system today is in reducing labor costs by increasing the efficiency of processing and retrieving documents;’ offers Alan Wiessner, chief executive of Integra Business Systems Inc., a document imaging provider in Safety Harbor, Fla.
By potentially eliminating these shadow costs, the costs of hardware such as multifunction printers or scanners can often be easily justified, Wiessner continues. One example he gives: Desktop scanners can cost less than $1,000 for each branch. ROI should come within 6 to 18 months of implementation of an enterprise content management system, particularly if it’s a Web based system. How can iDentifi.net give you a Return on Investment (ROI)? Contact us at sales@identifi.net. for an indepth study and analysis. What’s under the hood of a new generation of document imaging systems? Best practices in document imaging was defined by large, clunky and expensive scanners for images and optical jukeboxes for storage. In the early 2000s centralized scanning and research was the norm due to limitations in networking technology and the associated hardware costs. Desktop computing has morphed into notebook computers and mobile devices. 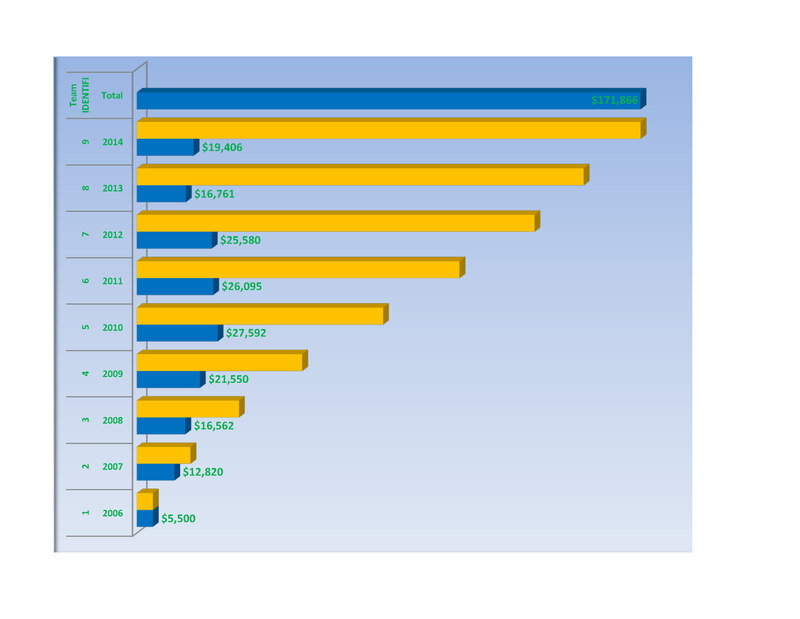 Every year American businesses generate over 2 trillion documents. At our current rate of information exchange that number will increase every three years. On the average, a community bank manager can spend 30 minutes to three hours a day (or three months per year) searching for documents. Internal intranets have replaced local area networks as the preferred method for businesses, including community banks, to share information. This translates into many more documents and many new document types for banks to manage. To deal with the increases in content, document imaging and Computer Output Laser Disk (COLD) has been replaced by Enterprise Content Management (ECM). More documents to manage on internet time means availability and access to documents must be fast and secure. Lower-priced scanners and the proliferation of multifunction printers make it easier to capture documents at their source. Add privacy policies, ever increasing regulation and compliance pressure, compel community banks to use ECM effectively to manage their documents. Best practices for an ECM system must address several key areas. A successful implementation of ECM means the bank employee must find the software easy to use. An ECM application using the ubiquitous browser is a good choice for searching for documents. Who isn’t familiar with the internet browser? This reduces the bank’s cost and the time to train employees, especially in areas of high turnover. It can be as easy as the “Back” button. To compete and to communicate effectively in our new world, documents must be easily accessible to bank employees from a multitude of sources. Today many documents are “born digital,” where documents include e-mail and e-mail attachments, text, Web content, word processing documents (such as board minutes and spreadsheets for accounting), digital photos and video. Fresh off the presses, this post also appears as an article titled “Imaging Horsepower” that appears in September 2010 ICBA Magazine. It emphasizes best practices and it certainly plays to our strengths! Warning, it’s a yawn if you’re not looking to add ECM or improve your current ECM solution. The Web is always on. Bank customers have online banking and can bank anywhere and at anytime. Bank employees need access to customer documents too, anywhere and anytime. With ECM software a bank employee in a branch could retrieve an image of their ID or Signature card for identification purposes. If there was no ID on file they could scan it locally, at their desk. They could take an application for a loan, scan the application and ID to an electronic folder, notifying the credit department to process the application, get it approved and back to the branch employee to complete the loan. This can reduce the chance of fraud, satisfy regulatory compliance, such as the USA Patriot Act and save the customer time. An ECM product can also employ an eSignature application which allows bank customers to eSign deposit and loan documents. 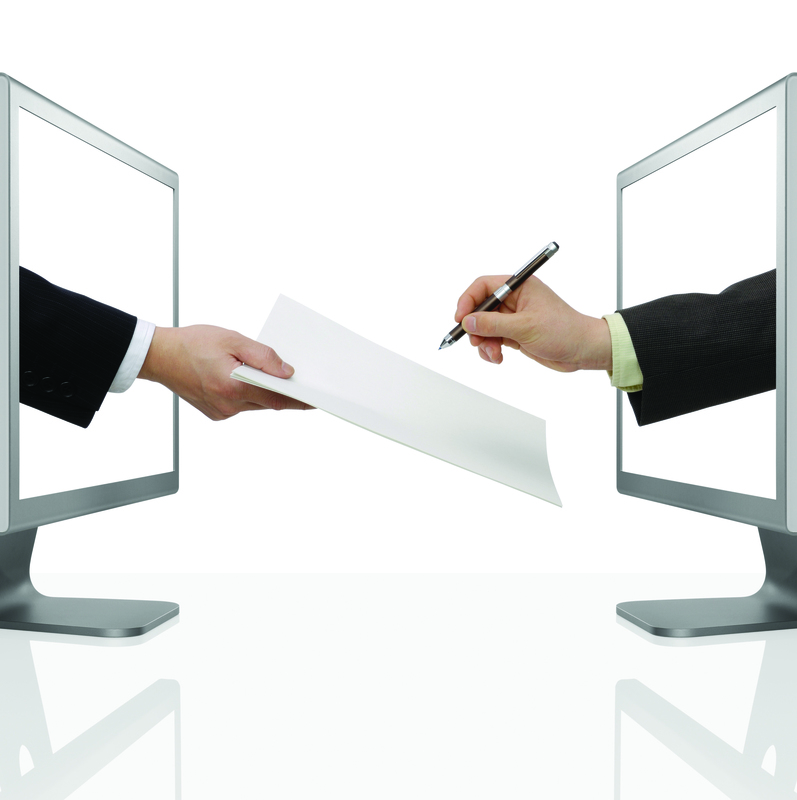 Instead of printing to a laser printer the print job is sent to the eSignature application. All pages appear on the display for signing on a digitizing pad or tablet PC. One major advantage to an eSignature solution is the capability to predefine all signature areas, initials and number of signers on a document or document set. The signing process cannot be completed until all signatures and initials have been completed. This saves time, especially if the bank employee has conducted the signing at the bank customer’s home or office. eSignature can eliminate or substantially reduces printing costs. The bank’s eSigned copy is automatically stored to the ECM archive. The customer can opt to receive the eSigned documents by e-mail, on a thumb drive or the documents can still be printed after the signing. eSignature comes with the added benefit that bank documents no longer need to be printed, signed and then scanned into the ECM archive. This saves both time and money. Community banks rely heavily on IT for the latest and greatest technology necessary to compete with larger banks and comply with ever increasing government regulation. An ECM application that is easy to deploy (one click installation) and receives unattended updates via a secure Web server is ideal for a busy IT department. ECM applications, once written for the desktop PC (legacy applications), are now written for the Web. Today’s ECM platform should include one-click technology to deploy the ECM application across the enterprise to multiple locations easily and efficiently. Again, time and money saved. Many community bank branches have invested in multifunction printers, which include the ability to scan documents. An ECM system can compatible with MFP devices is a plus. The availability of bar-coded documents from most new account and loan origination vendors make scanned documents easier to identify and archive. Documents can be captured (imaged) in the branch, then indexed and store centrally by the ECM system and accessed by any user across the enterprise who has been given the rights to access them. The ability to drag and drop “born digital” documents into the ECM system, easily identify and file these documents from a multitude of sources is essential. Some would argue making documents available via the browser is risky. Which is more secure? A file folder on someone’s desk or encrypted documents in a secure file folder stored on a secure server in a secure location accessible only via a private network? Many community banks have multiple lines of business, which require multiple levels of document security. For example, someone in new accounts may not be allowed to access loan documents. Other personnel may need to access both new accounts and loan documents but only customer related documents. They may need to be restricted from access to employee only documents and human resources. With an ECM system, multiple layers of user security down to the document level is possible. Only the persons that have been given the rights to view the document can view it. Compliance, completing a successful audit. Internal audits as well as audits from state and federal governments can be conducted much more quickly and efficiently with ECM. An ECM system that employs document tracking allows the bank to define which documents are needed for every type of deposit or loan transaction. Document tracking can determine if all the associated documents have been archived or if documents are missing. Reminders are created and e-mail or printed notices are sent when a recurring document (such as financial statements or certificates of insurance) is needed. If documents are missing reports, notices are sent to the responsible bank employees and managers. Logs show an audit trail. Your ECM vendor must produce and keep current, a vendor management package. The package must include information such as SAS70 certification, audited financials, a security agreement, acceptable use policy, password policy, termination policy and a disaster recovery plan, to name a few documents and policies required by community banks from their ECM vendor. An ECM system should include a log that will record when a document has been viewed, printed, e-mailed or whether a document has been revised. It will display by default the current version of the document and also keep older revisions. Document retention policies can be set on each document type as to the length of time the documents are will be viewable, when they are moved to long term archive or when they are destroyed. Documents will not be moved or destroyed without the administrator of the ECM system being notified and given the option to change the document(s) status. Any eSigned document that is altered will cause the eSignature to be replaced by a large red “X” in the signature areas. A co-location facility is recommended to be either manned by a third-party provider with the technical skills to back up your mission critical applications and be located within one day’s vehicle travel from the primary facility. Community banks that may not be able to take advantage of the latest ECM technology due to cost or lack of IT resources can employ an ECM solution from a Software as a Service (SaaS) provider. Most SaaS models will include disaster recovery which essential to an ECM deployment in today’s world of regulation, compliance and security. 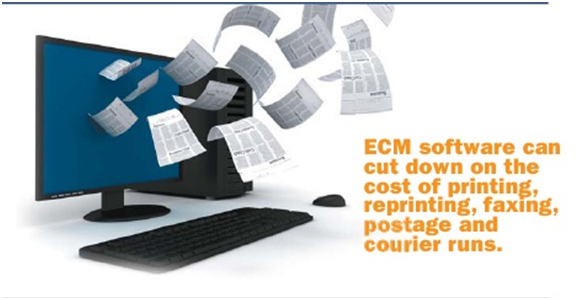 ECM software can cut down on the cost of printing, reprinting, faxing, postage and courier runs. If everyone across the enterprise has the ability to view the documents they need, there is no need to keep “shadow” copies of the documents and files in multiple locations. This saves money and also makes for good press. Community banks that already have a “Go Green” initiative or wish to implement one can say with confidence their ECM product saves trees. Safety Harbor, FL — (Feb 26, 2015) – Integra today announced it has attained Gold Certified Partner status in the Microsoft Partner Program with a competency in Application Development, recognizing Integra’s expertise and impact in the technology marketplace. As a Gold Certified Partner, Integra has demonstrated expertise with Microsoft technologies and a proven ability to meet customers’ needs. Microsoft Gold Certified Partners receive a rich set of benefits, including access, training and support, giving them a competitive advantage in the channel. Microsoft Competencies are designed to help differentiate a partner’s capabilities with specific Microsoft technologies to customers looking for a particular type of solution. Each Competency has a unique set of requirements and benefits, formulated to accurately represent the specific skills and services that partners bring to the technology industry. Within select Competencies, there are Specializations that focus on specific solution areas that recognize deeper expertise within that Competency. Serving as a specialized path to earning those Competencies, Specializations give direct access to the tools and resources that support that specific area of focus. Integra’s iDentifi.Net product was tested and approved by Microsoft in February. The company achieved its Application Development Competency by meeting testing requirements for its software, its operating system, and other components – and by receiving the required number of customer references. As an ISV, an application development competency allows Integra access to all of Microsoft’s server platforms to enable seamless integration with those products. About Integra Business Systems, Inc.
Integra is a software development company that produces document imaging, management and workflow with 20 years experience in the financial services, real estate and other industries. The iDentifi product line delivers a wide range of features for scanning, storing, coding, tracking, finding and viewing documents throughout the enterprise. Modular solutions include storage and management of all document types, workflow, enterprise report management (COLD), electronic signatures, signature and photo ID verification, document version control, document retention policies and document on and off line archival. For more information visit http://www.identifi.net.